PRINCE Harry and his fiance Meghan Markle have been given an adorable gift by a tiny pair of namesakes during their third royal engagement at Cardiff Castle. Two children, also named Harry and Megan gave the loved-up royal pair a traditional Celtic love spoon at the visit on Thursday which marked their first trip to Wales together. Meghan Markle reportedly told the younger Megan "you've got freckles, just like me". They were met by large crowds outside Cardiff Castle waving Welsh flags in a phenemenon dubbed "Meghan Mania." The couple separated to speak to people and accept flowers, with one woman telling Markle her engagement ring was sparkling "just like her". "I'm a very lucky lady," she said the future Duchess replied. Meghan wore a Stella McCartney black coat cinched with a ribbon while smiling and holding hands with Prince Harry, whose full title is His Royal Highness Prince Henry of Wales. It follows a visit last week to a south London radio station where she appeared briefly overwhelmed at the large cheer that went up from the crowd at her arrival. 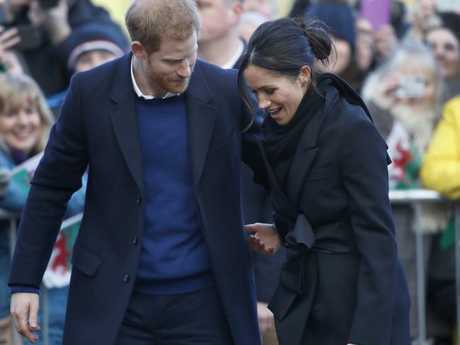 The royal couple visited the 2000 year-old castle in the heart of Cardiff and heard performances from local musicians and poets, as well as how they are promoting Welsh language and identity. They then visited a community centre to see how the StreetGames are being used to make sport accessible to young people. Meghan also met with young women involved in the UsGirls project designed to help young girls take up sport across the UK. It's the third royal engagement for the couple who also appeared in Nottingham in December and Brixton in January. It's also the first time Meghan Markle has been seen in public since the girlfriend of UKIP leader Henry Bolton, model Jo Marney, apologised after sending racist text messages to a friend in which she complained that Markle would "taint our royal family". Henry Bolton split with Marney over the messages and described them as "appalling and insulting". Prince Harry and Meghan Markle are due to marry on May 19 at Windsor Castle. 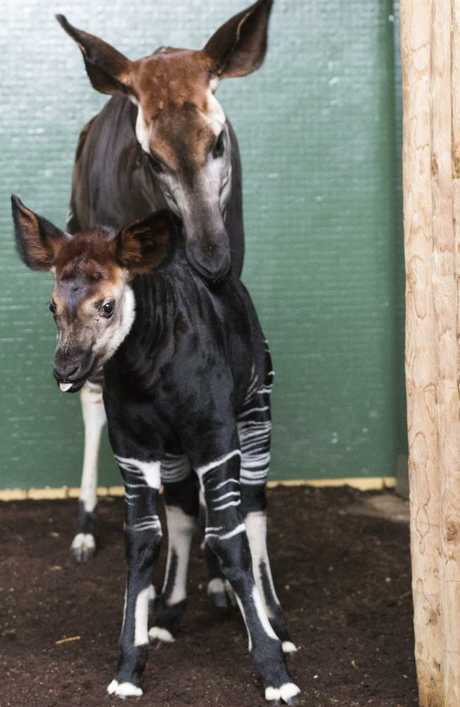 Earlier this week, London Zoo announced it had named their new baby okapi Meghan in her honour.